Welcome to Japan! Our class teacher is Mr Deakin and our learning support assistant is Mrs Sinclair. It is very important to be in school every day, we move at a quick pace to ensure we complete the whole Year 6 curriculum by the tests in May. Work begins at 9 am so it is also essential to be on time. Good attendance means good progress. PE takes place every Wednesday with Liverpool Football Club, and every Friday with Mr Fidler. It is essential that children have the correct PE kit in school to enable them to take part. Keeping fit and active is essential for not only healthy bodies, but also health minds as it increases our concentration which helps us learn. For more information on how we teach Maths and English in year 6, please feel free to speak to Mr Deakin or Mrs Sinclair. Children should read every day to help them with their reading strategies, vocabulary and comprehension. In school we are currently reading the Mozart Question by Michael Morpurgo. From the book, we look at how characters act, feel and interact with each other. We use inference skills - that means we reach conclusions from the clues we find in the text. 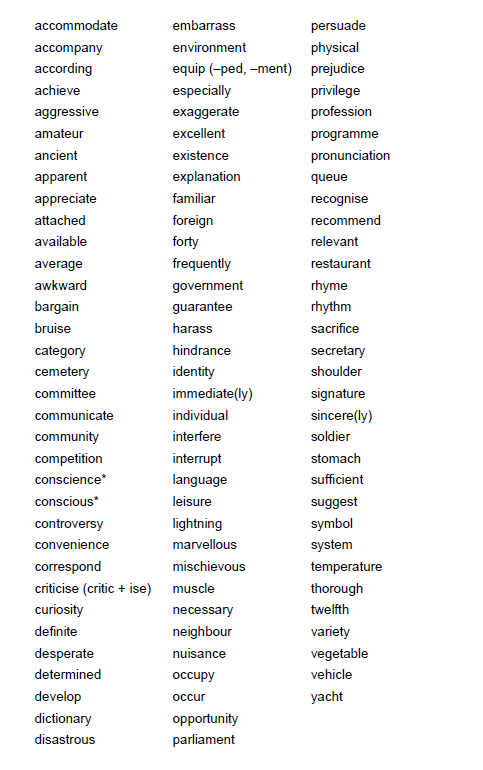 Learn the spellings from the list below. Children should try to use them in their independent writing. Practising handwriting is still important in Year 6 - children have to be able to write legibly in a joined style to reach the expected standard by the end of the year. Websites to support your child this year. Bitesize has a wealth of content to use. Login to mathletics to improve your skills.